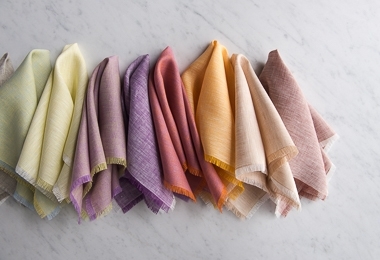 Like a painting, our collection of Watercolor Linen seems made of fluid brushstrokes and colorful washes. It is subtle and elusive, intriguing and complex, earthy and beautiful. 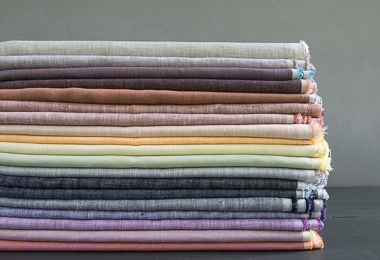 The structure of Watercolor Linen is a simple plain weave, but with the warp one color and the weft another, the fabric seems to glow with an inner light. It shifts and transforms, each color a wonderful thing! 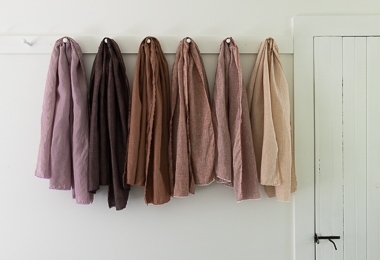 These Fat Quarter Bundles includes ten 18 x 27-inch pieces in either a Moody or Bright palette. 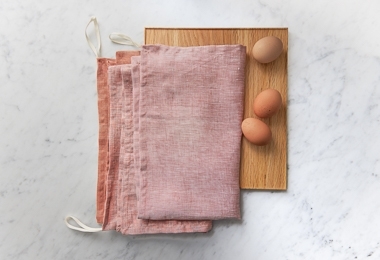 They are perfect for napkin sets, patchwork projects, and rainy days!